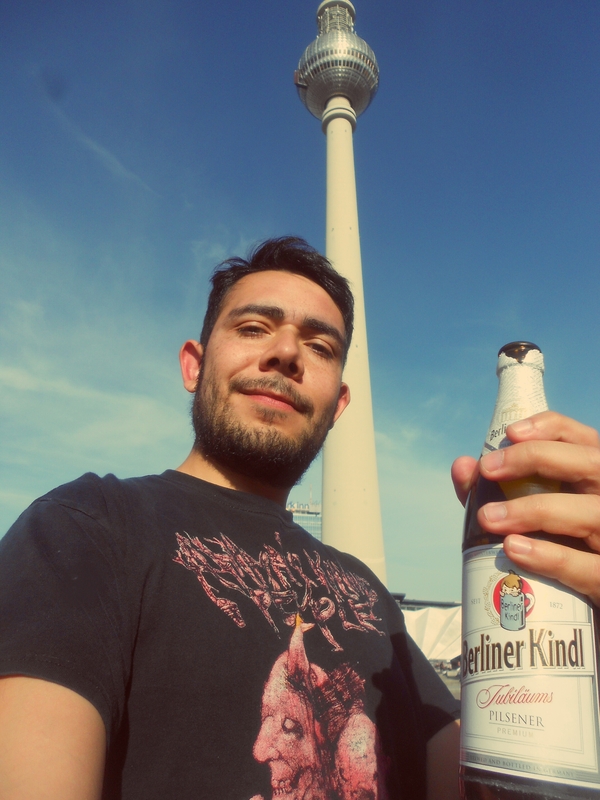 I’d like to start this post with an announcement: I relocated to Berlin! It all happened very fast, maybe even too fast for me to properly think it all through, process it, and properly arrange it. 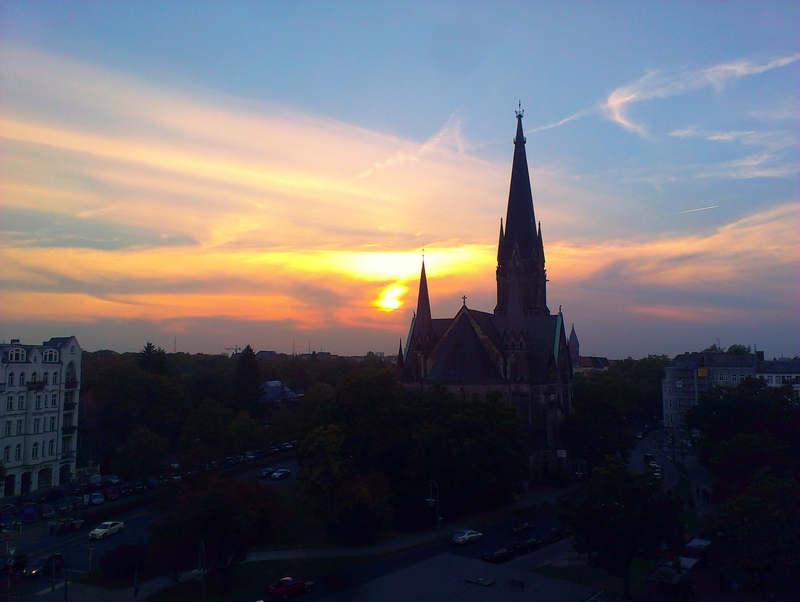 I got word last week Monday (September 21) that I got the job I applied for here in Berlin. By September 30 I was all moved out of my place and on October 1 I was on my way to the capital. Being the lucky dog that I am, I was fortunate enough that everything just fell into place: It took me a mere two days to find someone to take over my room in Heidelberg. Then, my friend Jonas called on Saturday while I was out and about in Rotterdam and told me that he was moving to Frankfurt an der Oder and that he could bring me (together with all my stuff!) 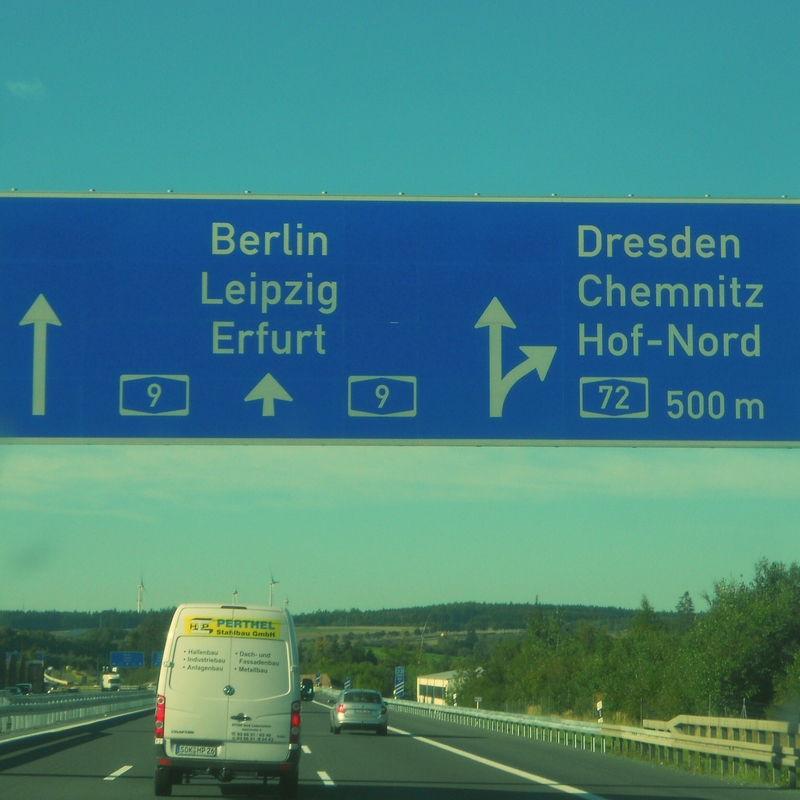 to Berlin. All that was then left was organizing a place to stay. 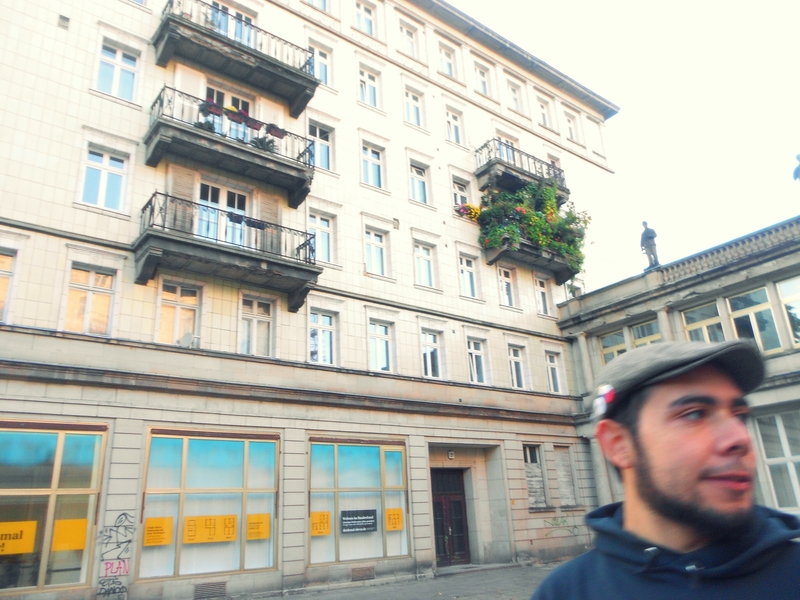 A day before arriving and with no place to stay, I called my old friend Ruben to let him know I was moving to Berlin. When I told him I still didn’t have a place here he promptly offered me his couch while I look for a spot of my own. 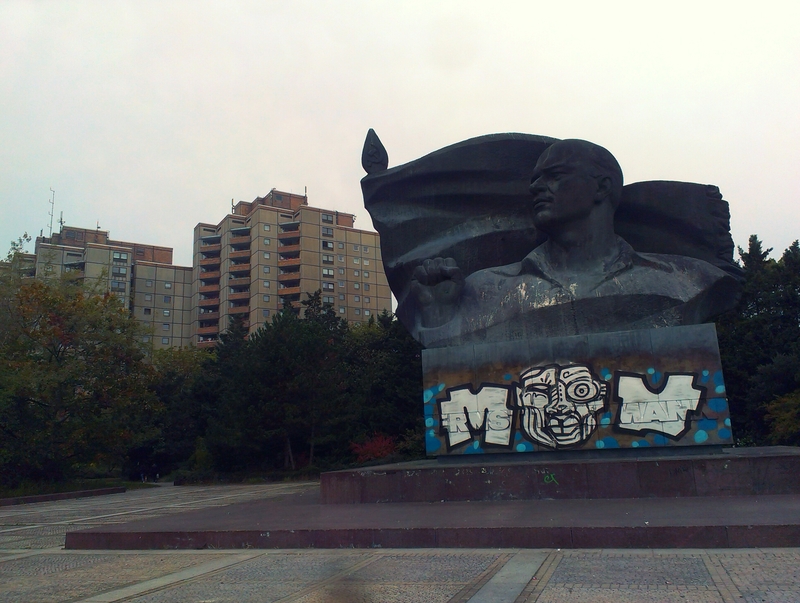 The remnants of actually existing Socialism in East Berlin. I don’t know if the planets or stars aligned or whatever but I lucked out big time with everything and realized again just how fortunate I am to have good friends. The reality of no longer having a job after the last day of September and needing a new one before the end of October in order to renew my residence permit added a sense of urgency to the whole situation. Thus, when I got the call to notify me that I got the job here in Berlin I said “count me in” before I had time to figure out how I’d go about closing the chapter in Heidelberg within a mere week and a half. Needless to say, after the euphoria about getting a job here faded the day after I got the call and I started thinking about how to get this all done I became a little overwhelmed by the sheer spontaneity of it all. It’s no secret I had been wanting to leave Heidelberg for a while. I was happy and relieved to be moving on, yet I could have used a few more days to properly say goodbye to the city and my friends. Heidelberg felt different on my last day. I moved there to study, and finished my master’s back in June. I vowed not to live in Heidelberg unless I studied, so the main reason for my very being in that city thus disappeared when I got my diploma. My job as research assistant at the history seminar ended at the end of August. I had my last day of work at the info center of the university two days ago. After I finished my shift at 1pm, I felt as though the last light had been turned off and I needed to close before leaving. It was all rather bittersweet, yet the prospect of moving to Berlin the next day and the knowledge of having closed an important chapter made me feel like a million bucks. 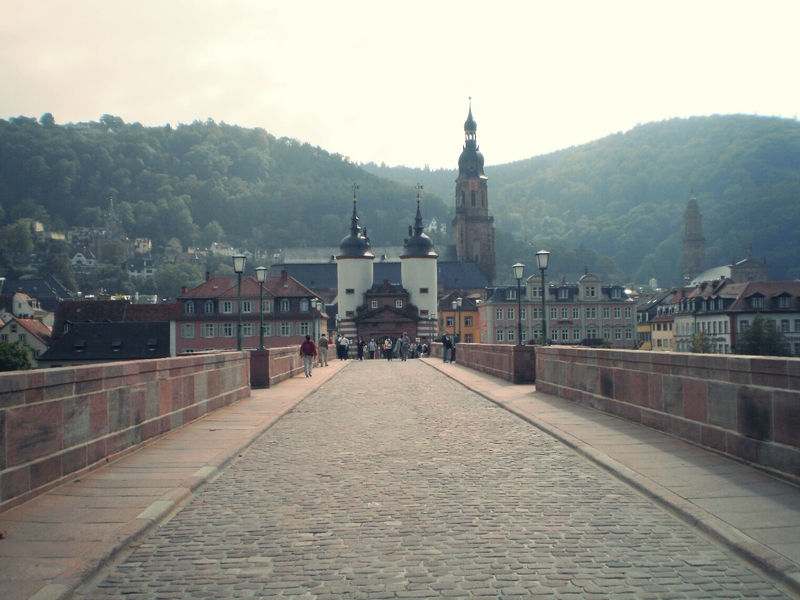 One last stroll through Heidelberg. A few days before leaving Heidelberg I thought about finally making it up to the Königstuhl. I thought about hiking one last time up to the Thingstätte, and about going to Hakim’s for a last plate of spare ribs. In the end I only had time to do one thing: Go for a last beer in the city center. La última y nos vamos. I called up a few friends and met up with them at a German restaurant in town. Some didn’t know I’d be leaving town the next day. My plan was to be back by 11 pm after throwing back a few. People then started showing up. Germany, Russia, America, Ecuador, and Mexico all had their representatives at the table. We all spoke German. 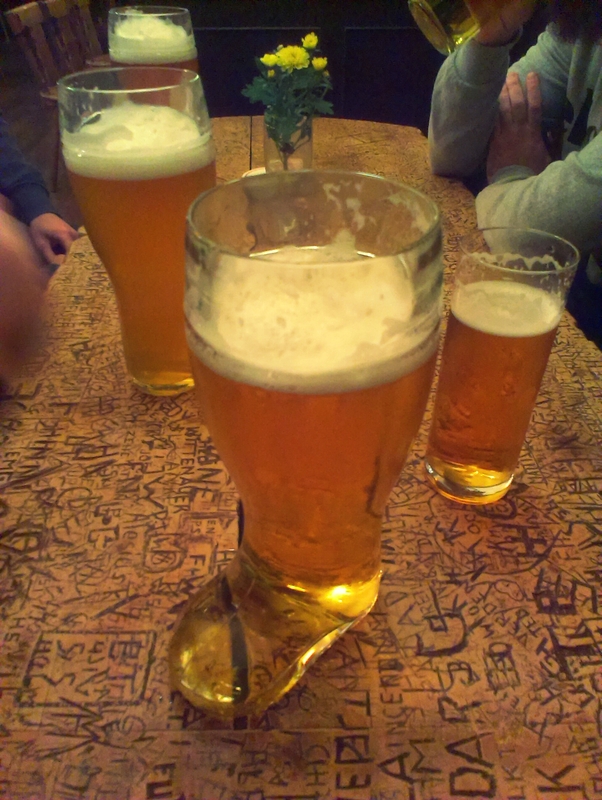 I ordered a Stiefel (as seen in the movie Beer Fest) to kick off a great evening that ended with me coming back home at 4:30 am and waking up at 8 to finish packing. Jonas and I were on our way to Berlin by 11:30am. Within only ten days it all went from worrying in total uncertainty about everything in Heidelberg to preparing to start a new job in Berlin. The move was mostly played by ear but it all worked out in the end. I am lucky to be here. Berlin is one of my favorite cities ever and I’m thankful for sitting here writing these words in Prenzlauer Berg (Ostberlin). While drinking tea on the front steps yesterday, on the Day of Germany Unity, my friends and I were approached by an older guy wearing a long coat with beer bottles sticking out of its pockets. He talked to us about the night the Wall fell in a very vivid manner. He turned out to be a writer and former dissident who published a number of books in the West under a pseudonym, and he’s also my neighbor. After he left I thought to myself that this chapter was off to a good and interesting start. I’m excited to see what Berlin has in store for me. What a rollercoaster adventure, pretty intense! Settle in well, enjoy the ride. Cheers! Let the good times roll. Ah, the familiar views! Carl Ruprecht’s is my alma mater. Your post brought back some good memories. Glad it did! Don’t worry–nothing has changed there.